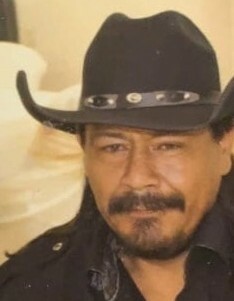 McAllen - Jose Andres Cruz, 46, entered eternal rest on Tuesday, March 19, 2019 surrounded by his family in McAllen. Uncle Andy as he was called by his family was born on October 23, 1972 in Reynosa, Tamaulipas, Mexico to Andres and Sylvia Cruz†. Uncle Andy was a long time resident of McAllen. He enjoyed spending time with family. He loved listening to music and really really loved to dance. He loved and enjoyed playing cards, he was obsessed with scratching lottery tickets. Uncle Andy truly enjoyed life to its fullest. He was preceded in death by his mother; paternal grandparents: Maximino Cruz and Manuela Villanueva. He is survived by his family; his wife: Yolanda Cruz; his children: Jose Andres "Andy" Cruz, Jr. and Michael Cruz; his father: Andres Cruz; his brothers and sisters: Norma A. Alonso, Nancy Landeros and Sergio Cruz; and numerous nieces and nephews. Visitation will be on Thursday, March 21, 2019 at Rivera Funeral Home, 1901 Pecan in McAllen from 12:00 pm to 9:00 pm with a Celebration of Life Service will be at 7:00 pm. Service arrangements are being handled by Rivera Funeral Home in McAllen.